We often leave our homes for extended periods of time, whether it be for work, or for pleasure. Using a smart security system in your home can put your mind at rest whilst you’re away. Lenz Security use one of the smartest apps on the market for managing your home security. The Texecom system is so smart, you can manage your home and security straight from your phone! Texecom’s market research showed a big gap between what was available on the market, and what users wanted out of a security system. Security and peace of mind are what most of you are looking for. However, once a standard system is in place, people simply don’t use it. This smart security system is designed to completely transform your experience with home security. It provides a situation where you can actively interact with your home and enjoy the peace of mind that comes with knowledge and control. Texecom Connect uses tech to help make your life easier. It has been carefully designed to let you tailor your home security for your needs, without any complicated programming. It can even integrate with some of the top home smart systems so that you can manage everything in one place. Let’s take a closer look at the app features. Texecom Connect not only helps you manage your home security but it integrates with your smart home systems. Both past and programmed events are clearly shown. This gives you instant access to review events that have happened throughout your day. You can choose to manage your system exactly how you want. You may want to only be notified when changes or events occur that may be different from how you expect. Or, you may want to actively manage your property. This can mean, turning your heating up or your air-con on before you get home from work or even turning your lights on when it’s dark. The possibilities are endless and whatever you choose, it’s super easy with the Texecom system. You can even review live camera footage. Furthermore, any pre-programmed calendar events can also be viewed and modified. Any devices that you choose to connect to the smart security system can be used to create home automation effects. They can be security alarms, smart lighting systems, or even smart heating systems. This can all be done without affecting the integrity of your security alarm system. For us, security is paramount, and the app has been designed to ensure that you cannot accidentally affect the operation of your system. Each device that you connect to the system will be allocated a room, which makes locating them and creating automation ‘recipes’ super simple. Lenz Security can map alarm devices into each room making it easy for you to set up. 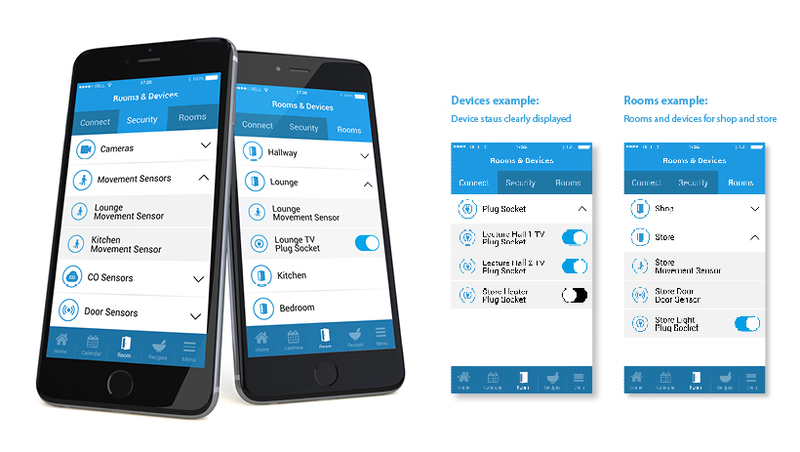 This is the easiest way to use the Texecom Connect app, as you can simply turn devices on and off directly from your room menu. By using this feature each device can be accessed by no more than four button presses! Above we mentioned ‘recipes’, these are simply a simple way for us to explain the actions needed for automation. A whole range of different recipes can be grouped into ‘System Modes’, so for example, only certain recipes take place depending what mode you’re in. You may only want to send a notification to your phone if you are not at home. System modes are a basic way of operating this smart security system through the app. They provide pre-set and custom profiles with ‘at-a-glance’ system control. This is a key shortcut that the you can use to put your premises into a known state depending on how you want to use the system. If a smart security system sounds like something you need. 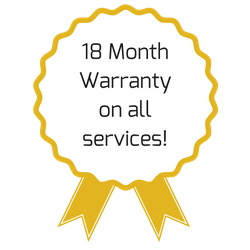 Click below for a free quote from Lenz Security today.